Now that Apple is accepting orders for the iPad mini, here are a few things to consider to manage your budget while getting a device that meets your needs. The WiFi models will be available first, ready for pick up or delivered on Nov. 2. As I said in this week's podcast, WiFi-only can limit your connectivity. Public WiFi is often less than robust, and there are times you're not near an access point at all - frustrating for such a mobile device as the iPad mini. But the price consideration for built-in cellular is substantial. The cheapest WiFi + Cellular model (16 GB) is $459 compared to $329 for WiFi only. A workaround is to activate a tethering data plan for your iPhone. AT&T for example, has a pro plan that provides 5 GBs of data monthly, and allows tethering via cable, WiFi, or Bluetooth. Your iPhone becomes a mobile Internet access point for the iPad mini and basically any other device you have with you. I tested the tethering option with my iPhone 4S and a variety of devices, and it was remarkably robust. This data option costs $50 a month (compared to $25 a month for 2 GBs of data without tethering.) You're going to spend $30 a month for a decent data plan just for the iPad mini if you go the WiFi + Cellular route. So considering the initial investment for WiFi + Cellular and the additional monthly fees, tethering is more affordable. Keep in mind that using an iPhone as an access point is not as convenient as having cellular built-in to the iPad itself. And you're tapping battery power in two devices instead of just one. It's not my first choice. But when you look at the economics of trying to squeeze an iPad mini into your budget, it could make the difference between getting the mini now, or having to wait. Apple is offering free engraving on iPad minis that you order online. This is a cool option, but think it through. If you plan on reselling your device once the 2nd generation is available, then don't get engraving. Buyers won't appreciate having "Joe Smith" emblazed on the back of their mini. This $29 accessory is a must for nimble photographers. It allows you to copy images directly from the memory card to the iPad mini. If you shoot with a non-SD card camera, get the USB adapter instead, then use your camera's cable to transfer pictures. It's wonderful, but it's also $40 - a tough call. The most affordable iPad mini (WiFi only with 16 GBs) plus the Lightning to SD Card Camera Reader, recycling fee and tax; and your grand total will be $394. The 32 GB WiFi only will run you about $500. The 64 GB model, WiFi only, over $600 (both with SD Card Reader option). In other words, this suddenly becomes a serious investment. And finally, if you decide to take the leap, I would do so sooner than later. Once Apple runs through its stockpile on iPad minis, the wait time will probably stretch out to a couple weeks. When Phil Schiller announced the MacBook Pro 13" with Retina Display, he showed photographs on Aperture, which has been rewritten to take advantage of the increased pixel density. Now there are two laptops with Retina (MBP 13" and MBP 15"). So, how are they different than Macs with a traditional LED display? Take a look. Every icon, thumbnail, and letter in Aperture has been retooled to take advantage of the super high definition display. The details you can see in the thumbnails are stunning. When debating between the 13" and 15" MBP, be sure to take a look at the tech specs. The 15" model also includes the NVIDIA GeForce GT 650M with 1GB of GDDR5 memory and automatic graphics switching plus the Intel HD Graphics 4000, while the 13" only includes the Intel HD Graphics 4000 card. Either way, however, you'll see your images like never before with this hardware/software combination. So many interesting visuals at sporting events. This image of backlit cheerleaders caught my eye at the game last night. Captured with an OM-D with a Carl Zeiss 85mm f/2.8 manual focus lens. When working with lighting and portraits, it's easy to get caught up in the photo shoot and forget how you captured the shot. Like a good cooking recipe, you want to be able to repeat your performance if it turns out well. Our lighting set up for an outdoor model shoot during the TDS Fall Photography Workshop. During yesterday's model shoot at the TDS Fall Photography Workshop, I reminded our participants to step back and record the various lighting schemes we were testing. That way, when they nailed a portrait they really liked, they could duplicate the results another time with a different subject. Camera phones are great for documenting photo shoots. You could have an assistant or friend snap some pictures during the session to capture the lighting set ups. 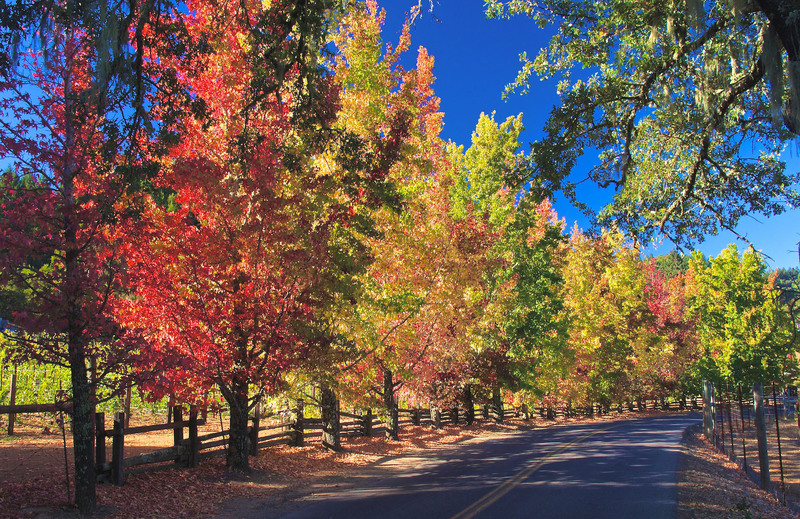 As long as the datestamp on the camera phone and your DSLR match, you'll be able to see exactly how you got that great shot. 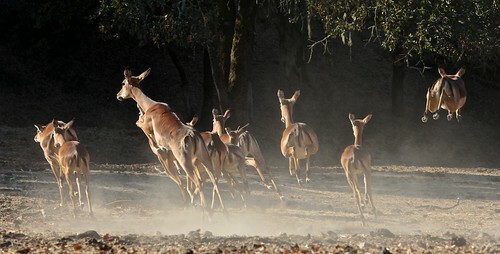 We were up early to catch the morning light for our adventure at Safari West on day 1 of the TDS Fall Color Workshop. 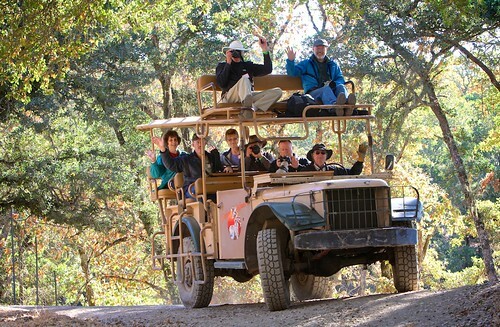 With our own guide and vehicle, we had the entire area to ourselves. The animals were out in the morning light. And the photography was terrific. Day two focuses on landscape shooting and environmental portraiture with a professional model. More to report on that. If indeed Apple announces the iPad mini on Oct. 23, 2012, the device will have a big impact for nimble photographers. The current iPad is the largest surface area object in our "travel light" camera bags. Measuring 9.5" x 7.31", the iPad determines the type and size of transport we must carry to be fully functional while on the go. Reducing that surface size to something in the neighborhood of 7.85" on the long side means that we can carry a Compact System Camera, iPad mini, and accessories in virtually any camera bag. But in order for this to work, the new tablet will need certain attributes. iPad Camera Connection Kit - Currently this kit -- that allows you to import images from a camera or memory card -- is only available as a Dock Connector model. We're pretty sure that the alleged iPad mini will use a Lightning Connector. Hopefully Apple will release an updated CCK so we don't have to use an adapter that could break because of the amount of leverage created. Also, there's no sure bet that the adapter will work with the current Connection Kit. Retina Display - One of the discussed goals of the iPad mini has been price competition with Amazon, Samsung, and Google. Apple may want to release a non-Retina display version of the device to keep it price competitive. If they do, I'm hoping that a Retina display model will be available also. Once you've had Retina, it's very hard to go back. HD Camera - I think the camera built in to the iPad mini is very important. This device will be much less awkward to take pictures with, yet still provides an HD view of the world. 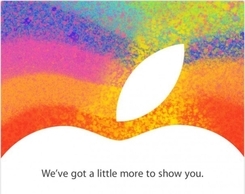 I'm hoping that we see a camera with the specs close to the unit that's in the iPhone 4S, or better. GPS - A good camera that can geotag images is vital to nimble photographers. There's no better time to add location information than when the image is recorded. Smart Cover This device needs to take up as little space as possible, and the Smart Cover we currently have for iPads is a great accessory. Would love to have one for the mini at launch. Will we get these features? We'll know soon enough. The announcement is in less than a week (we think...). With Aperture 3.3 and iPhoto 9.3, Apple introduced the Unified Library that allows both applications to share a single library container. Not only does this allow you to switch back and forth between iPhoto and Aperture seamlessly, but it introduces new options for your photo workflow. First, however, here's a brief look at the Unified Library in action. Since this movie was made, a new feature was introduced in Aperture 3.4 making this "switching back and forth" even easier. 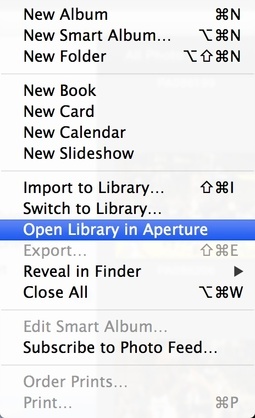 The command, File > Open in iPhoto streamlines the process of jumping over to iPhoto (and vice versa). Some people have asked me how the Unified Library affects my Controlling Photo Stream with iPhoto workflow. Well, it's actually made it easier. I still can have only one library designated to manage my Photo Stream. I've set up an iPhoto Library specifically for that task. 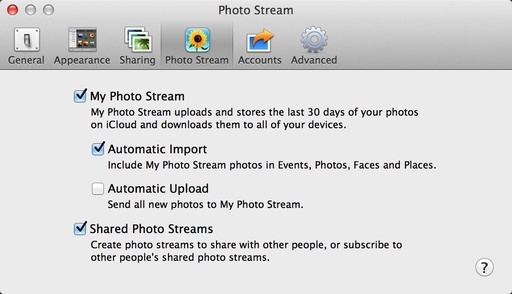 My iPhoto Preferences are configured to automatically download images from Photo Stream into this container. So all of my pictures from the iPhone and iPad flow into this designated iPhoto library. Now, let's say, that I want to work on one of these shots in Aperture. 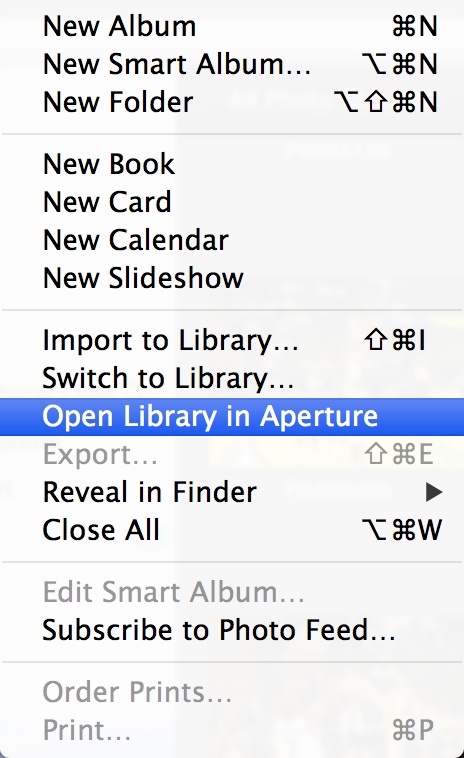 I go to File > Open Library in Aperture, and the entire Photo Stream is there. I can edit anything that appeals to me with Aperture's extensive toolset, export finished pictures out to my Mac, or share them online. When I'm done, I switch back to my regular Aperture library and let iPhoto continue to manage the Photo Stream. Easy! Needless to say, I'm lovin' the Unified Library.